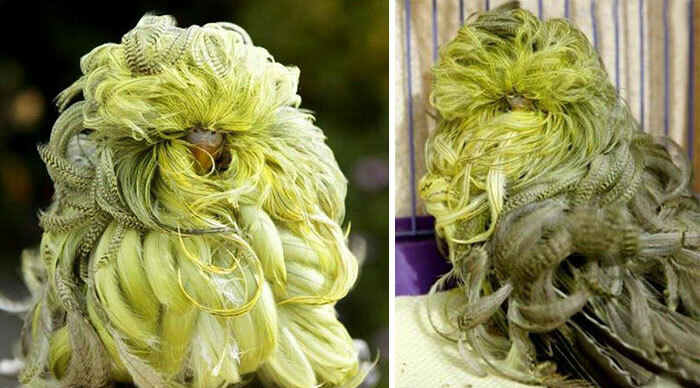 These critters are having a permanent good hair day, and it's not fair. They probably don't even know how good they look. 2. Getting the full blowout. 3. Fabio? Is that you? 5. Holy cow, that's a nice looking head of hair! 9. Congratulations, you never have to sweep again. 10. Behold the duster budgie. 11. Get out your crimping iron because the '80s are back! 13. The silkiest of Silkie chickens. 14. Beard game on point. 15. Who is her stylist?? ?